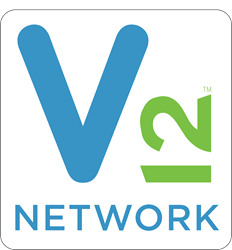 I am a believer in how V12 Network can be a game changer for any payer or provider who is managing a complex provider network"
Virsys12, an award-winning Salesforce Gold Consulting Partner, today announced their strategic alliance with Atlanta-based Healthcare IT Leaders for implementations of V12 Network, a comprehensive healthcare management system for a wide range of healthcare providers, payers and patient member networks. Coordination of efforts will be guided by newly appointed Virsys12 VP of Applications and Services Jack Olexy, previous CTO and co-founder of healthcare software company eDoc4U. Jack Olexy joined Virsys12 in early February, bringing over 25 years of experience in technology software including work with Dell.com and eDoc4U clients such as HCA, CVS/Caremark, and Allscripts. In his role as Vice President of Applications and Services for Virsys12, his first endeavor is to align V12 Network product sales with the Healthcare IT Leaders implementation team and accelerate the product road map for V12 Network. Salesforce, Health Cloud, Fullforce and others are trademarks of salesforce.com, Inc, and are used with permission.